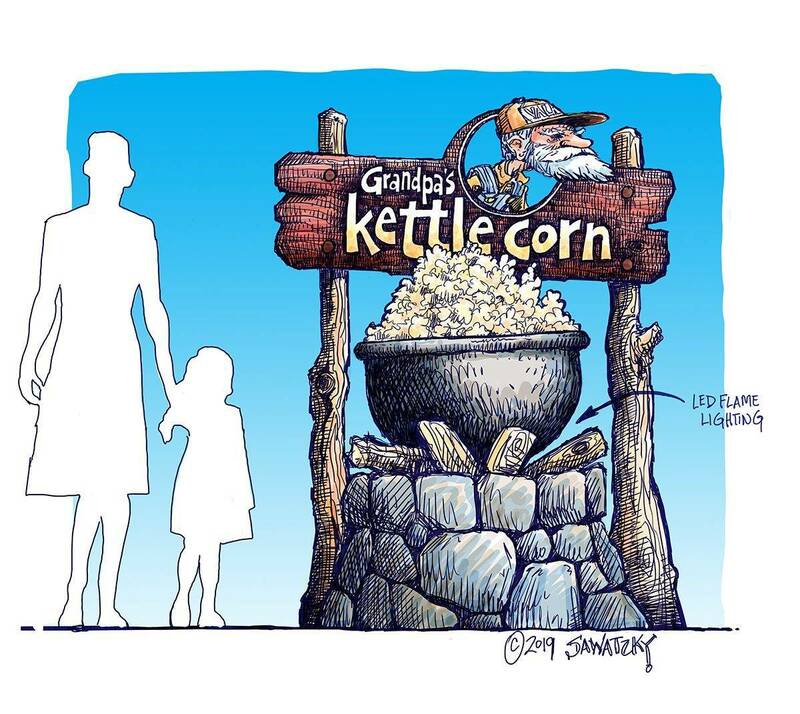 What do you do if you’re a sign maker located in the Rocky Mountains, a region that the Koppen Climate Classification system lists as having a subarctic climate, and you want to make signs that last? Heck, the signs you make aren’t going to have to just stand up to a little rain and sprinkler water, they’re likely facing blizzards and very big hailstones. That means you need to build your signs out of durable materials and build them strong. 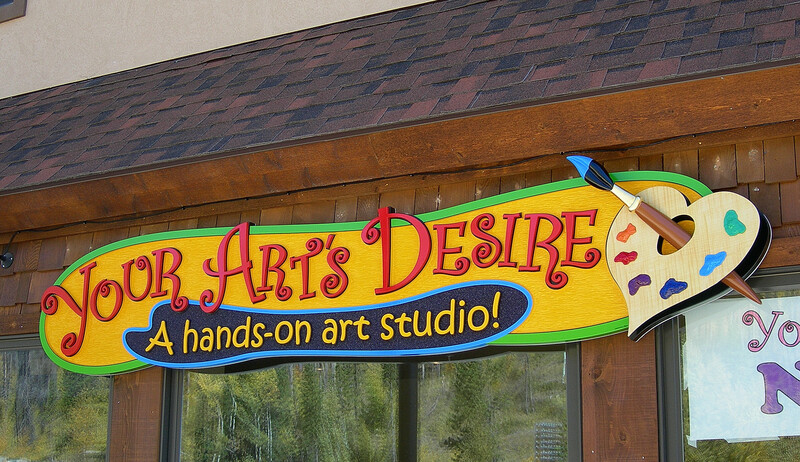 This brings us to our longtime friend Joel Lunsford, owner of Lunsford Signs in Hot Sulphur Springs, CO. Years of working with Joel have led to a great amount of admiration for his work making signs last in such a freezing climate. Joel sent in pictures of one of his most recent signs made out of Precision Board PBLT-20, and it sure is a sturdy-looking sign. 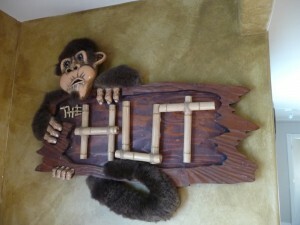 The sign was made to replace a wood sign that had seen better days at the Winding River Resort (located on the border of the Rocky Mountain National Park), and was probably installed around the time John Candy starred in everyone’s favorite outdoors movie, The Great Outdoors. 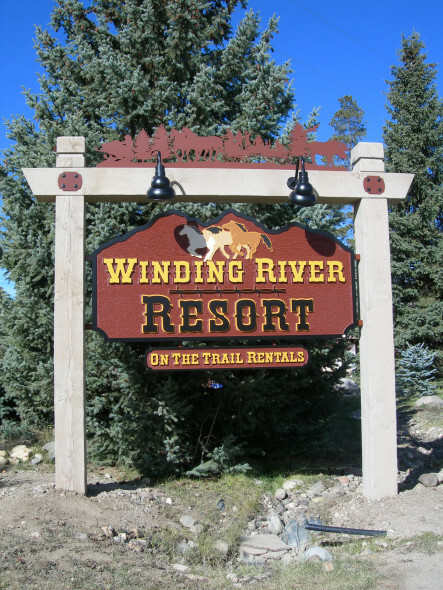 Using Corel DRAW, Joel designed a sign that would match the Winding River Resort’s rustic theme and got to work. 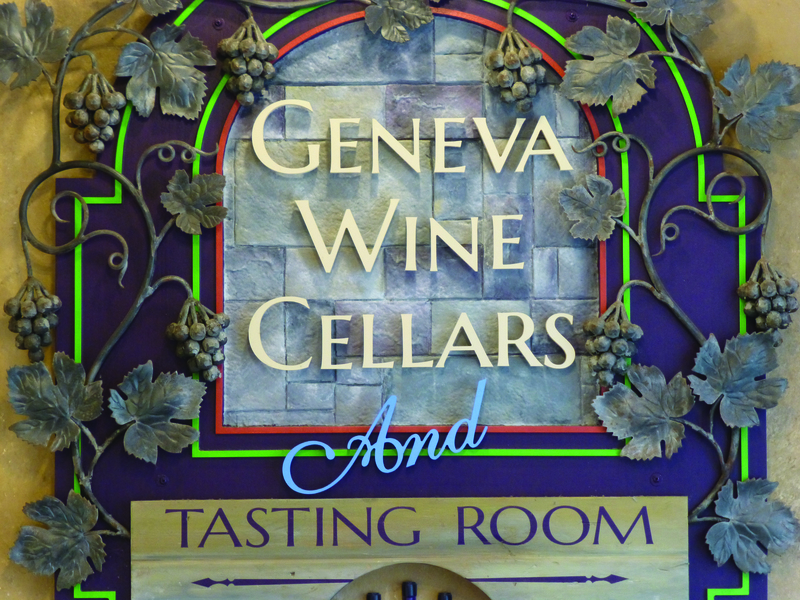 Starting with a sheet of 1.5″ x 4′ x 8′ Precision Board PBLT-20, he cut out letters, barb wire and the background with his CNC router, then hand textured the background to resemble carved wood. 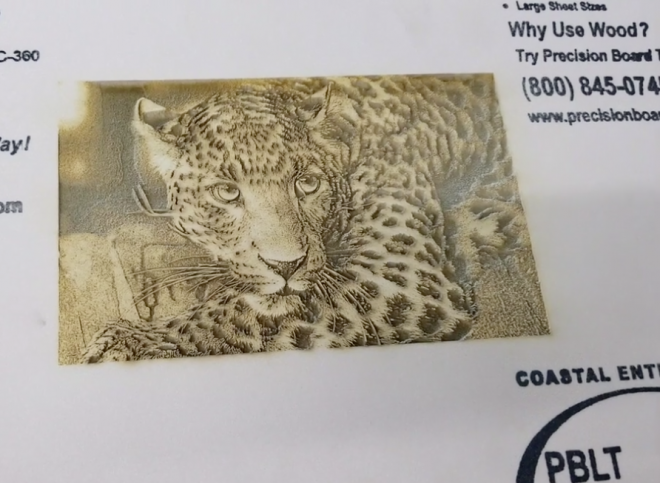 Once that was finished, he laminated it to a piece of dibond using PB Bond-240, our one-part urethane adhesive. Next, Joel finished the sign with the Matthews Paint system, resulting in a protective, weatherproof finish. Since this sign could be facing some seriously harsh weather, Joel welded a supporting frame out of 2″ aluminum square tubes and secured it to the back of the sign. The metal designs on top were waterjet cut out of 1/4″ plate aluminum, and the posts are 16′ long douglas fir timbers, treated with tar on the bottom four feet and set into concrete. The post structure was so large it had to be assembled on the trailer when it came time for the install. Upon arrival at the job site, Joel’s crane truck was used to lift the massive structure out of the trailer and install it in the final resting point. 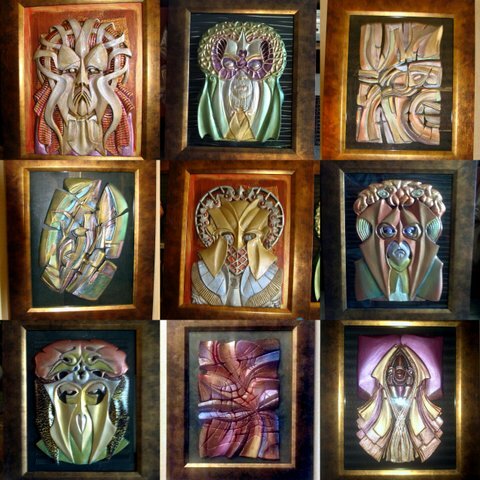 According to Joel, “We choose to use Precision Board PBLT-20 for our carved dimensional signs because we are impressed with its fabrication qualities and performance characteristics. 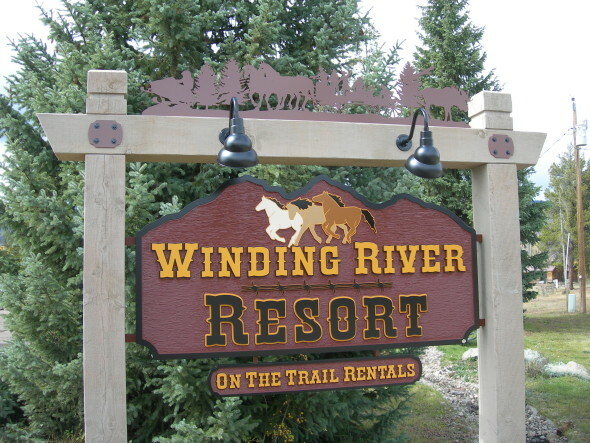 From CNC routing to hand carving, to painting, and ultimately, its exterior durability, we can count on Precision Board to produce our high-quality resort-oriented signage”. As the job came to a close, Joel took some pictures of his beautiful sign and sent them to us to share with you. Lunsford Signs has been in business since 1996 is an award-winning design and custom fabrication company located in the central Rocky Mountains. 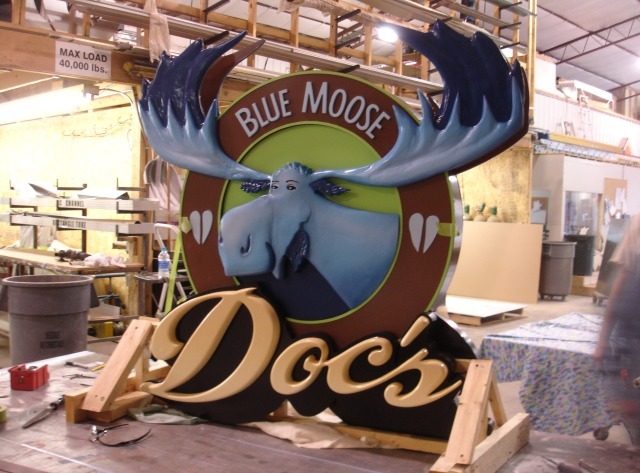 They are a full-service commercial sign company and specialize in hand-crafted, three-dimensional architectural signage. Visit their website, www.lunsfordsigns.com, for more information.